Baldwin Park Unified has refinanced $74.8 million in facility bonds, saving District property owners $20.8 million in repayment costs over the next 21 years. The refinancing takes advantage of lower interest rates for bond issues approved by voters for improving District facilities. The move also refinanced facility bonds backed by Baldwin Park Unified’s general fund, generating direct savings for the District. Follow-up Story: Baldwin Park Unified’s Board of Education adopted an updated Local Control and Accountability Plan (LCAP) on June 21 that outlines how the District will dedicate $32.9 million to high-needs students. The plan would expand classroom technology and teacher technology training, hire a team of health aides, purchase English language arts instructional materials, add a 12th-grade expository writing and reading class and fund two prototype classrooms for multi-lingual instruction. Follow-up Story: North Park High School celebrated commencement for 168 graduating seniors on June 1, recognizing accomplishments as they prepare for the next stage of their educational and career journeys. Students will matriculate to Mt. 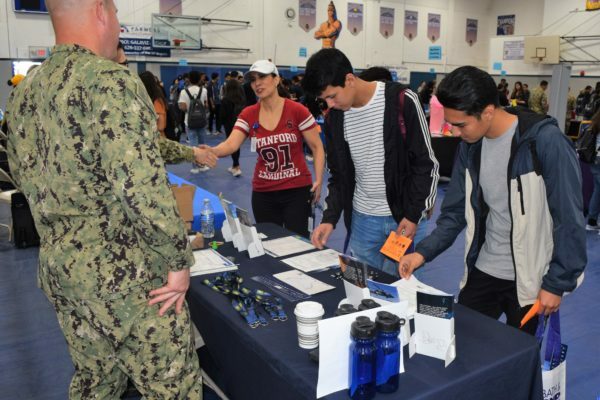 San Antonio College, Rio Hondo College, Pasadena City College, East Los Angeles College, UTI and Citrus College, as well as enter the U.S. Air Force, Marine Corps and Army. The event included a posthumous honor for Jorge Contreras, who died before his planned graduation in 2015. The honor was given to his brother, Cristian Contreras, who graduated this spring. Follow-up Story: Sierra Vista High School celebrated the commencement of 405 graduating seniors from the Class of 2016 on June 2, including students who will pursue the next stage of their college and career journeys at notable colleges and universities. 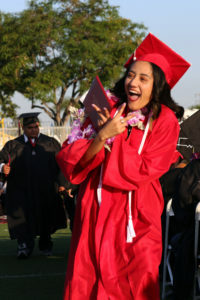 The school’s football stadium was painted red by graduation gowns as the students received diplomas and heard encouraging remarks from valedictorian Luz Mercado, salutatorian Raymond Phan and Principal Christine L. Simmons. Follow-up Story: Baldwin Park High School celebrated the commencement of 420 graduating seniors from the Class of 2016 on June 2, including students who will pursue the next stage of their college and career journeys at notable universities, the U.S. armed forces and regional trade and technical schools. 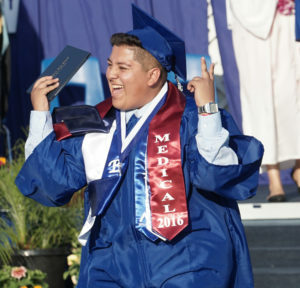 The school’s Ted K. Gorrell Stadium was awash in blue and white as students received diplomas and heard encouraging remarks from campus leaders and Principal Anthony Ippolito. Valedictorian Selina Han will attend UCLA; salutatorian Cesar Joaquin Arevalo will attend Stanford University. 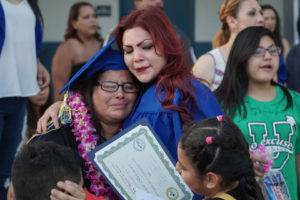 Follow-up Story: Baldwin Park Unified celebrated commencement ceremonies for 420 students at Baldwin Park High School and 405 students at Sierra Vista high schools on June 2, celebrating graduates who are embarking on the next stage of their college and career journeys. Students at North Park High School held their commencement exercises on June 1. Photos are available. 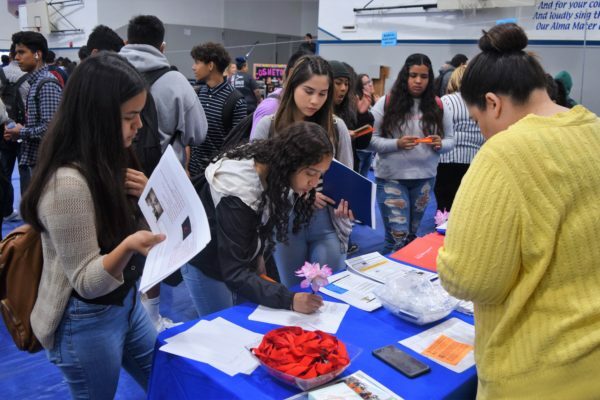 Baldwin Park Unified raised its graduation rate to an all-time high of 93.9 percent in 2014-15, closing the achievement gap for the District’s Hispanic and socio-economically disadvantaged students. 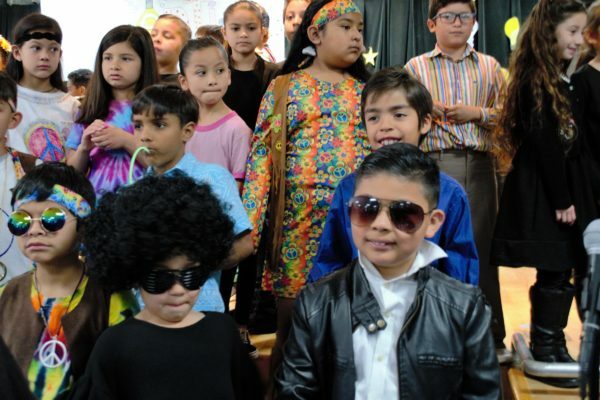 The graduation rate for Hispanics matched the District’s overall figure while students from low-income households did even better, topping out at 94.1 percent. The rate for English learners also improved significantly, climbing to 90.3 percent. 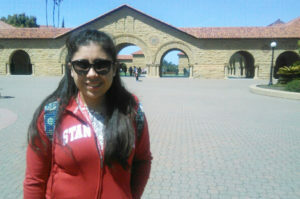 A Sierra Vista High School senior with dreams of becoming a doctor has received one of the final 1,000 Gates Millennium Scholarships ever to be awarded, covering all unmet expenses of her academic career at Stanford University. Luz Mercado, who will be the first in her family to attend college, was inspired to pursue medicine when her grandparents began to struggle with health issues. Mercado earned a 3.98 unweighted GPA and a 4.63 weighted GPA, bolstered by 12 Advanced Placement courses. Baldwin Park Unified will host a Relay For Life fundraiser to help support the fight against cancer from 9 a.m. Saturday, May 14 to 9 a.m. Sunday, May 15 at Baldwin Park High School, 3900 N. Puente Ave. This annual cancer-awareness event, in which participating individuals and teams take turns walking a track for 24 hours, has raised $321,000 since 2010. Eight Baldwin Park Unified elementary schools honored as Gold Ribbon Schools in April are being recognized for their efforts to help students living at or below the poverty line achieve their goals.Baldwin Park Unified’s Central, Charles Bursch, Elwin, Ernest R. Geddes, Foster, Kenmore, Pleasant View and Tracy elementary schools were each recognized by the California Department of Education on May 3. The eight elementary schools were recognized through the Gold Ribbon program for boosting student achievement through programs that promote college, literacy, English/Spanish biliteracy, collaborative teaching and parent engagement. Title I is a federal program that provides money to schools to improve performance by disadvantaged students.